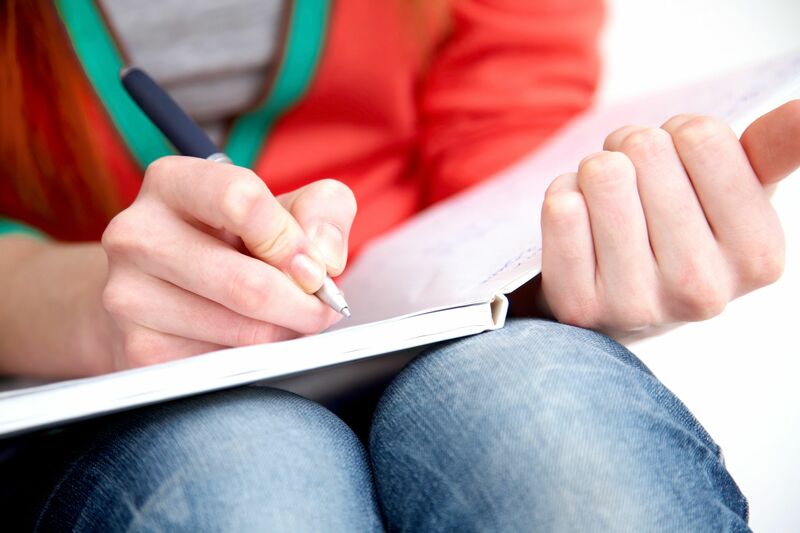 A simple writing exercise guides students to examine their perceptions of people who differ from them. It can be difficult for students to empathize with people who differ from themselves. Even those who attend middle and high schools with diverse populations may isolate themselves within homogenous peer groups and not develop cross-cultural relationships. Empathy—the ability to perceive or acknowledge someone else’s truth—is important not only because it promotes inclusivity and discourages bullying, but also because it can sustain happiness, reduce stress, and improve mental health. When students don’t have opportunities to experience difference—that is, when they construct their perceptions of others from secondhand sources—they risk developing limited worldviews. The good news is that non-cognitive skills like empathy can be taught. My purpose here is to introduce one particularly effective strategy teachers can use to help students build empathy through focused reflection. Triple-entry encounter journals, with two columns above a space for comparative reflection, ask students to examine their experiences from multiple perspectives. A printable sample of the journal described here. In the left-hand column, students record their personal encounters with any people with whom they do not readily identify. These entries do not have to be limited to a particular group—rather, students are encouraged to describe all of their experiences with difference in this one place. At first, students tend to think of difference in terms of race; however, as they become more comfortable with the exercise, their understanding becomes more nuanced, and they start to record encounters that help them explore issues of gender, sexuality, and social class. In the right-hand column, students record secondhand encounters, such as listening to peers’ perceptions, or watching or reading news reports. These encounters will not necessarily correspond to the same groups they referenced in the left-hand column. Then students color-code their experiences, highlighting positive encounters in green, neutral encounters in blue, and negative encounters in red. This is when triple-entry encounter journals really get interesting. As a map of their experiences begins to emerge, students often realize that some, if not all, of their perceptions of difference—especially their negative perceptions—are constructed on the basis of secondhand encounters. Even when this is not the case, visually categorizing their encounters helps them reflect. At the end of the journaling period, students discuss their experiences in small groups. Many students find that they have no firsthand experiences with difference. This discovery often eventually leads to difficult realizations of unconscious, ill-informed, or even malicious bias. For example, one student discovered that her negative perception of undocumented migrant children was entirely based on her uncle’s opinions—she had no other encounters with these children, either personal or secondhand. It’s important not to let the students’ newly discovered biases go unexamined. After they’ve reflected on their journals in small groups, the next step is to explore options for what to do next. Students often benefit from brainstorming ideas with fishbowl discussions or discussion webs—conversations in which students to pass a ball of yarn from one speaker to the next, allowing them to see their peers’ contributions. Whatever the format, these follow-up conversations are perhaps even more important than the initial exercise, because they enable students to examine their peers’ preconceived notions in relation to their own. These discussions have the potential to underscore the importance of suspending judgment toward people with different backgrounds, as students often recognize and express a preference for making their own decisions rather than being told how to feel. It is crucial for students to develop the non-cognitive skills that allow them to conceive of people unlike themselves with an open mind because people with deficit mindsets perpetuate cycles of prejudice. At the end of a particularly intense reflection session, one of my 11th-grade students, instead of packing up for the next class, spread several weeks’ worth of journals across the table. At first, I thought she was distraught; however, as I got closer, I realized that she was in a state of deep concentration. As I looked over her shoulder, I could see that she had nothing written in the left-hand columns of her journals. The right-hand columns, however, were crammed with red highlights. A moment passed before she acknowledged my presence. Then, showing me the pages, she expressed her intention not only to continue to reflect on her experiences, but also to seek out opportunities to form her own perceptions by engaging with people outside of her community. Though helping students navigate this kind of situation can be tricky—you don’t want to unduly influence them—it can also be tremendously rewarding. To help students broaden their horizons, I have found it useful to provide a calendar of community events or a list of readings by people with whom they do not share a salient characteristic. This helps students take ownership of their own experiences and learn to self-regulate their perceptions of difference through firsthand rather than secondhand encounters. Genuine, organic interactions like these lead not only to the cultivation of an individual student’s capacity for empathy but also, by extension, to the development of a more just and inclusive society.